Keep Clear 24-hour access required. Looking for signage for your home or business? We produce some of the most eye-catching and user-friendly signage on the market, ideal for use in residential and commercial premises. 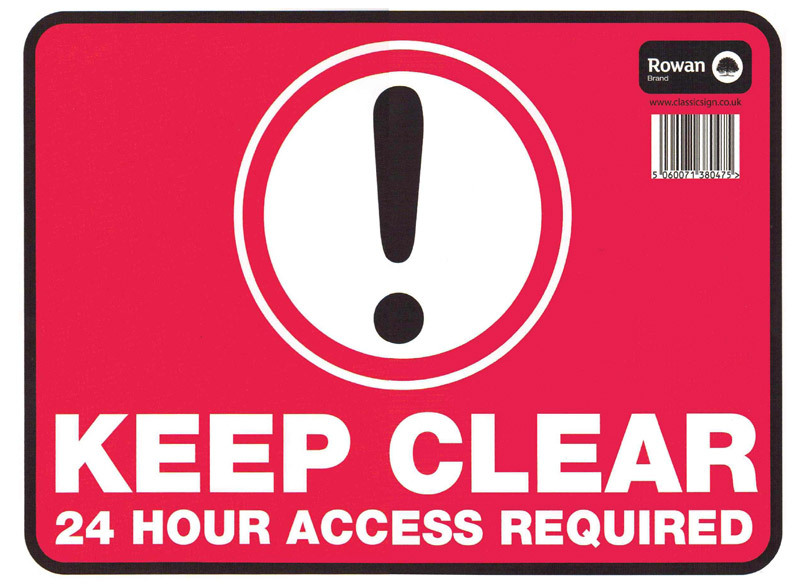 This keep clear warning information sign is perfect for keeping your property free of unwanted visitors and preventing parking in restricted areas. Printed in vibrant colours and cleanly designed using bold print and clear visuals. “Keep clear. 24-hour access required” reads this sign – getting your message across loud and clear. Printed on high-quality vinyl using the latest UV inks, these signs are waterproof and weather proof and will carry on looking good for many years to come. All our warning signs come with a self-adhesive backing and can be applied quickly and easily to any clean, dry surface. 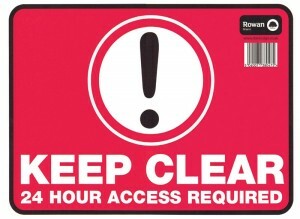 We produce all our keep clear signs in the UK to strict industry standards and have built a reputation for being one of the most professional and trusted suppliers in the industry. Whether you are buying for individual use or for retail, you can rest assured that you are buying a quality product that is more than fit for its use. Delivery is available to worldwide destinations and don’t forget to ask about our generous discounts if you ordering your warning signs in bulk.